I’m not very organized. I use the calendar on my iPhone religiously (thank goodness for the little alerts! ), but nothing is quite so helpful to me as making lists and/or a big wall calendar (note to self– need giant wall calendar). Bank of America Shamrock Shuffle (Chicago, IL) 4/10/11: a great motivation to keep in shape through-out the dreary winter months & an even better excuse to see my friends in Chi-town. An easy, fast road trip, too. 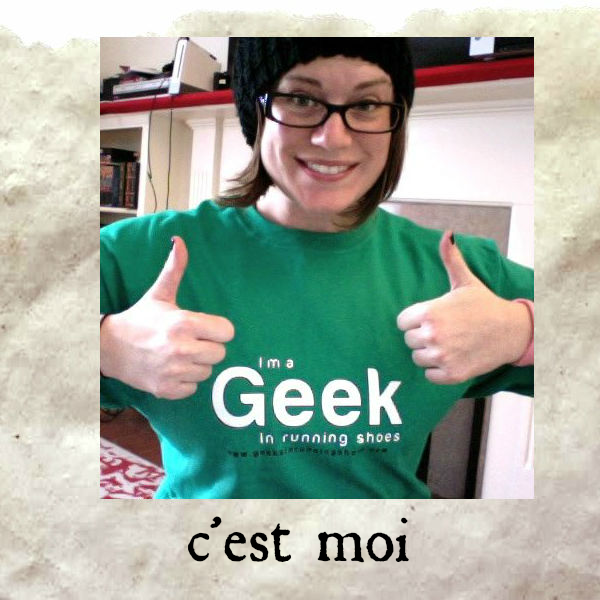 MojoStLoco (St. Louis, MO) 6/25/11: I’m really excited about this crazy event– my friend, Jason, from Geeks In Running Shoes is organizing it. This will be my first big trek to meet & run w/ cool Twitter/DailyMile folks. Races I plan to do: Budgeting is an issue for me, so I can’t just register for a bunch all at once. Flirt with Dirt (Novi, MI) 6/11/11: One of my tweeps told me about this & it sounds really fun– and a race I’d feel comfortable doing in my VFFS (Vibram Five Fingers). Warrior Dash (Mt. Morris, MI) 7/30/11: This looks to be a real blast & I would have registered already, but it’s the kind of thing you’d want to get a group together to do… I’m also open to running this out-of-state, if it means running with my friends. Registration is only $45, if you register by 11:59pm on Jan. 7, 2011. Do it! Detroit Free Press Marathon (Detroit, MI-Windsor, ON) 10/16/11: I would not be doing the full marathon, only the half. WHICH IS PLENTY. Also, I need to find & renew my passport. Whoopsie crumbs! Registration is half-price until Jan. 10, 2011! Do it! This entry was posted in Running and tagged Daily Mile, Detroit Free Press Marathon, Geeks In Running Shoes, Michigan Races, MojoStLoco, races, running, Shamrock Shuffle, Warrior Dash on January 5, 2011 by Molly.